Following the Apple event and big launches, Apple also made some updates in Search Ads. 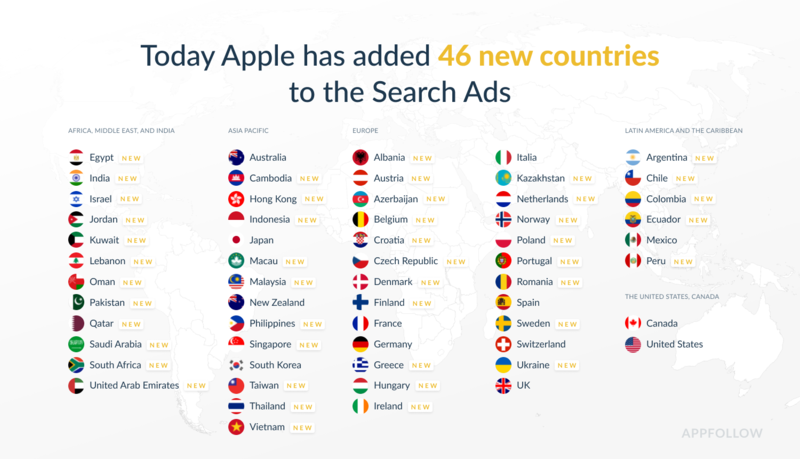 The first announcement just made is new opportunities for advertising, as Apple Search Ads is now available in 46 additional countries and regions. 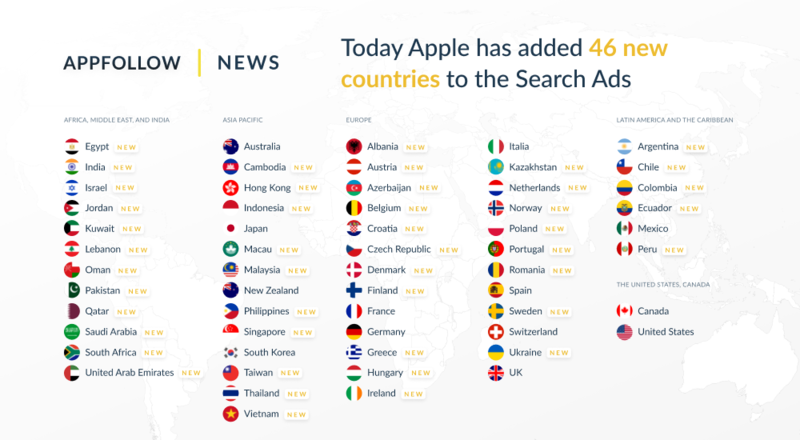 However, it is worth mentioning that advertisers will still not be able to use Apple Search Ads services for huge markets as China, Brazil, and Russia due to government tax issues. Also, it is still not possible to run Search Ads campaigns, if the Apple account country is Russia, for the same reason. Another big update for Search Ads is a possibility to run Multi-country campaigns. All you need to do is to add your app, select all 59 countries and enable Search Matching. Three clicks and your Search Ads campaign is live. 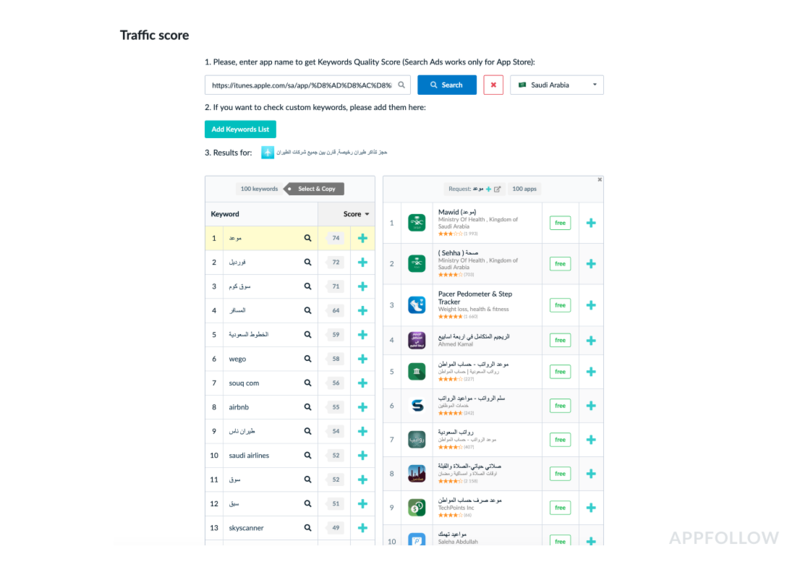 Sign Up or Sign In in your account and explore some new keywords for your app in Malaysia or Saudi Arabia!